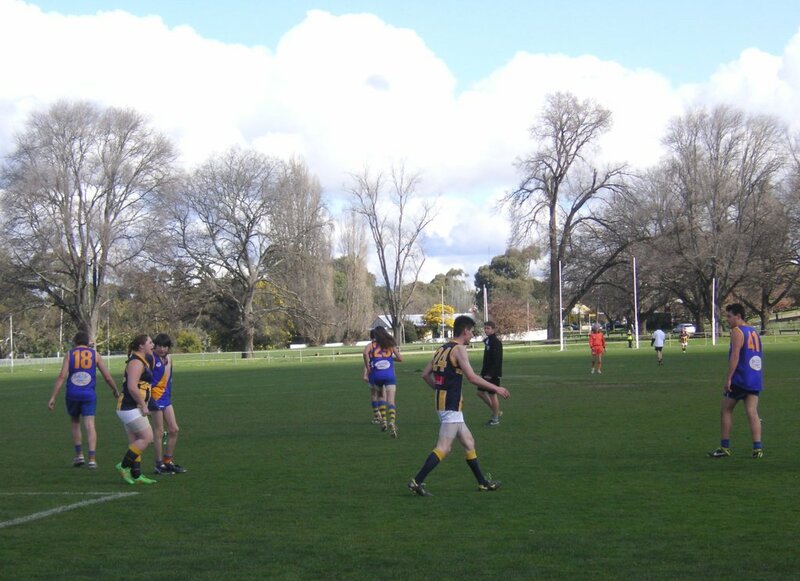 The Williamstown reserves get ready for a big second half. The scoreboard at White Flat Oval is nothing to write home about, especially when it’s not operating, but the ground has other charms. Not all scoreboards are exciting. 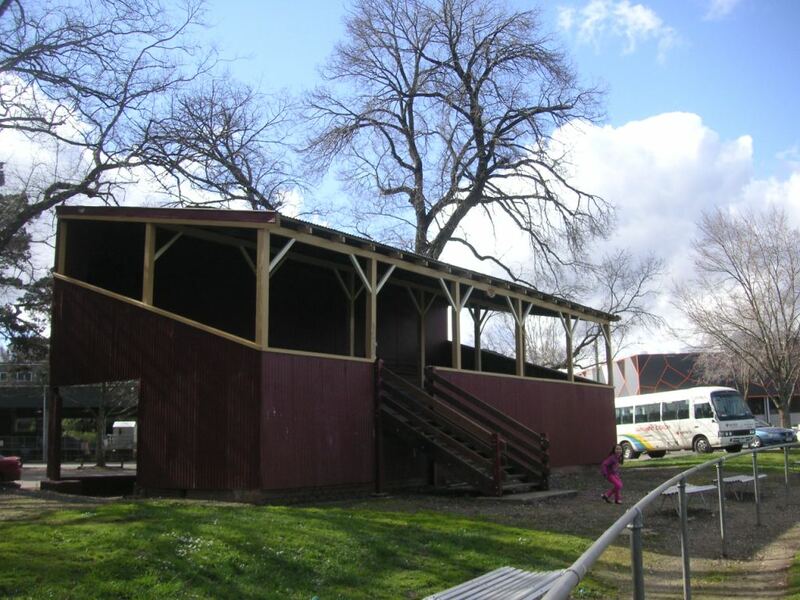 Country footy grandstands: there must be a website dedicated to them somewhere! 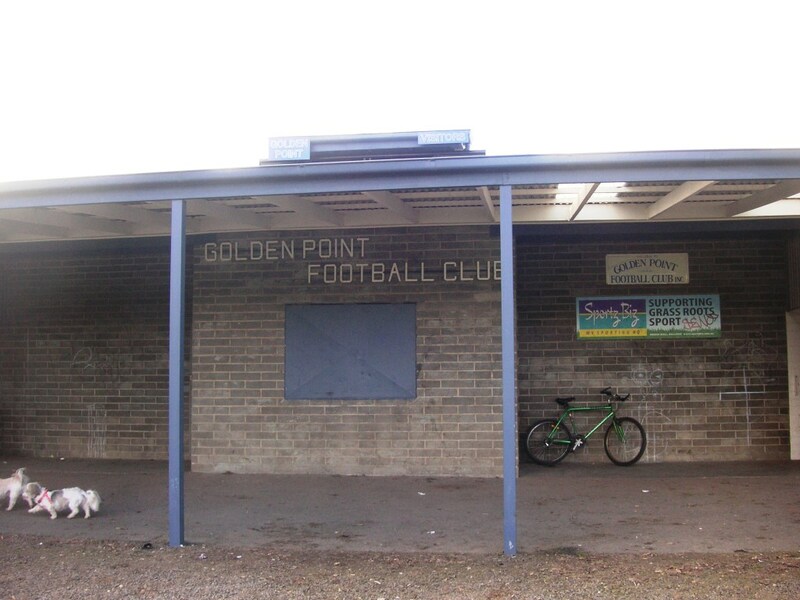 There’s the curious font that says Golden Point Football Club. There’s the sign that says Training Lane Private Road. 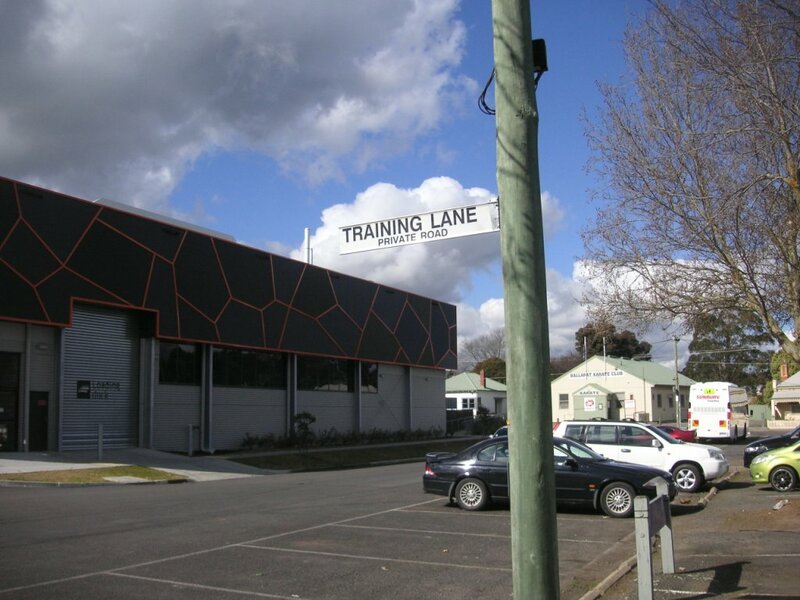 Training Lane, in the Golden Point car park. Scoreboard Pressure visited this Ballarat ground, located somewhere near the Eureka Stockade, with the Williamstown FIDA Seagulls. The seniors were caught napping against home team North Ballarat Knights but showed more endeavour in the second half. Maybe they need to spend more time in Training Lane, especially with the finals starting next week. The reserves played a great game against Rupertswood and after being three goals down in the first quarter were five points up deep in the last. 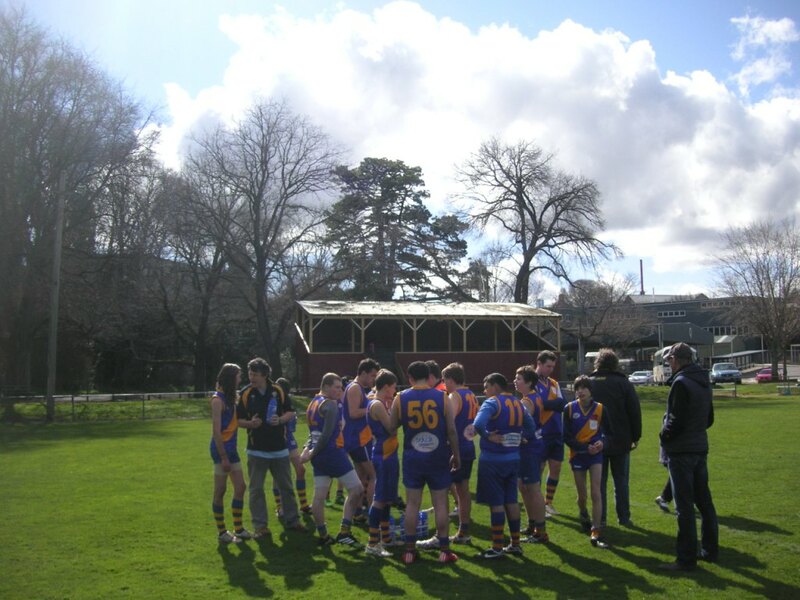 Alas, Rupertswood kicked the final goal, and score, of the game, and won by a point. A golden point. 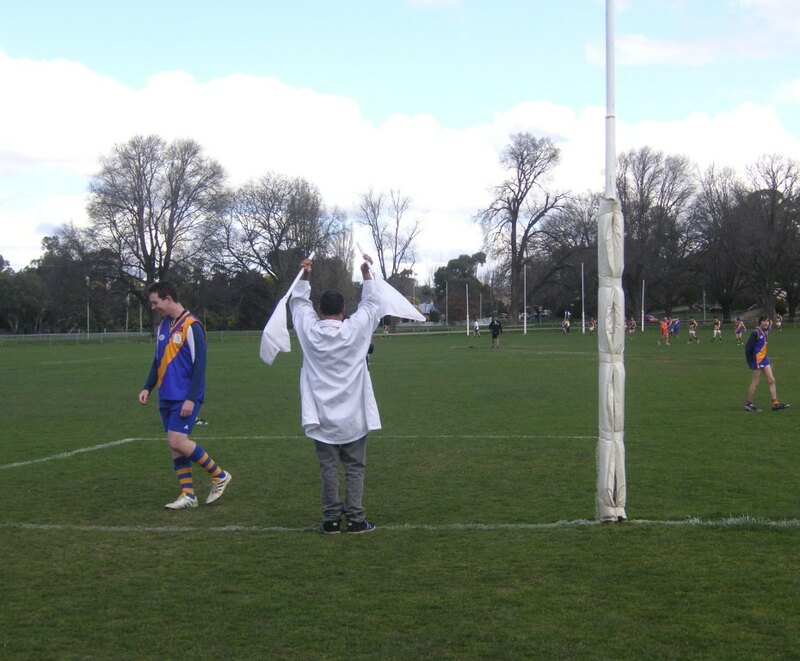 Williamstown reserves full back Laurie Pollard is a happy man after his team kicks another goal. 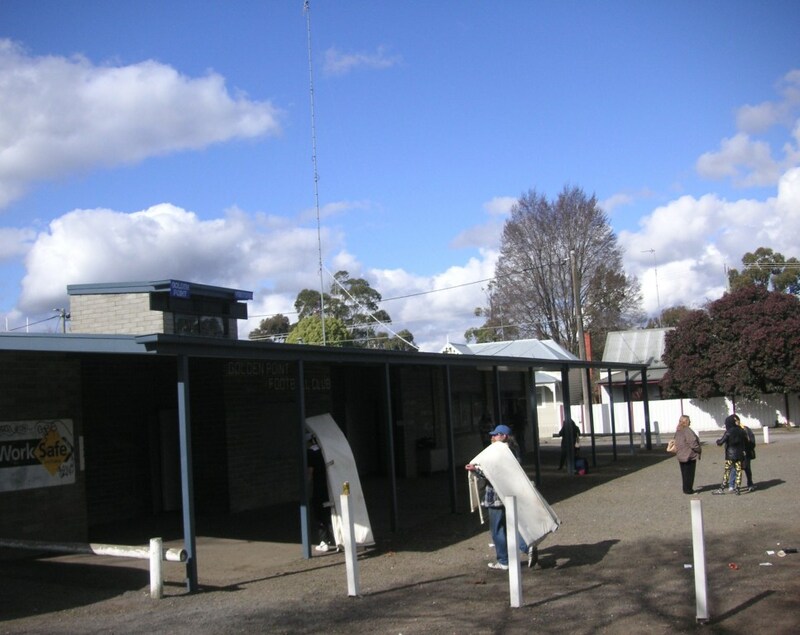 As for the Golden Point Football Club, it merged with East Ballarat in 2001, to become East Point Kangaroos. The Golden Point Junior Football Club, the Dragons, has had trouble staying afloat lately but seems to be fielding a Youth Girls team. Packing away the goalpost padding. Where would we be without volunteers? Great stuff as always Vin. Wish I had time to set up a website dedicated to country grand stands. Love ’em!